I guess it's time to confess. I like little pickup trucks. Not Ford Ranger type of little pickups, they're too much like trucks, but little car based pickups. El Caminos, Subaru BRATs & Bajas and VW pickups. 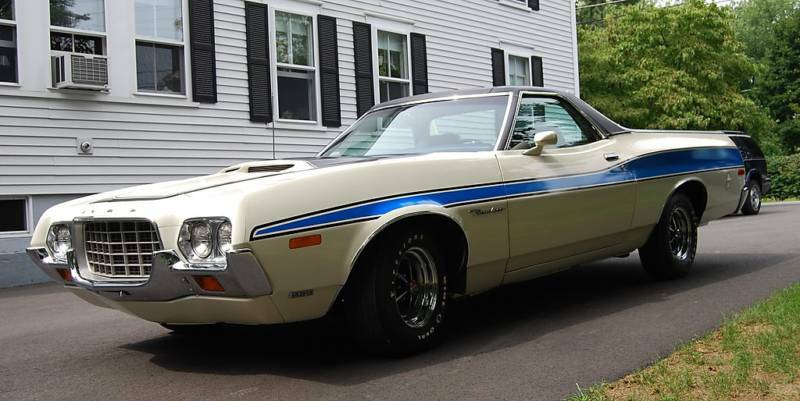 Hell, I even liked the Dodge Rampage. I especially like Ford Rancheros. 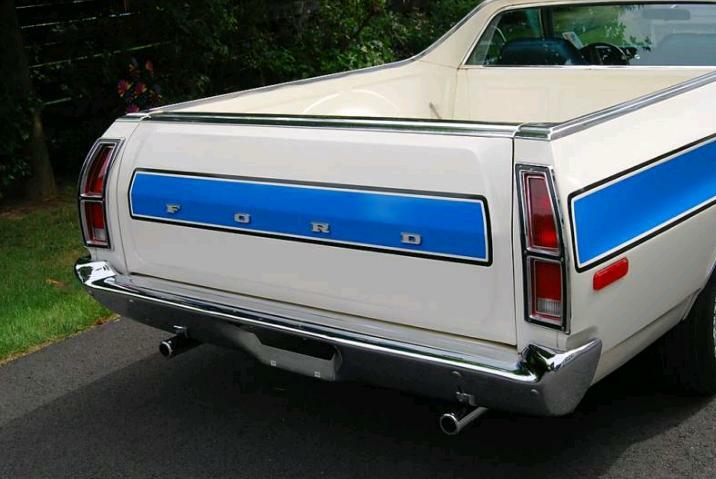 Based on the Ford Torino (also on the Falcon in other years), the Ranchero, when equipped with a V8, is essentially a muscle car with a pickup bed. This is an all-original 1972 Ford Ranchero GT with just 7091 original miles. The seller is the original owner. It is not restored. 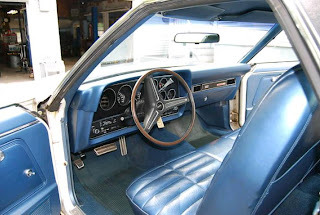 Everything except for the battery, exhaust system and master cylinder are original. It has a 429ci V8 mated to an automatic transmission. It has its original G70 x 14 Firestone "Wide Oval" tires. (Remember those?) It has a number of desirable options, including air conditioning, an AM/FM radio, front disc brakes, gauge package, handling package and much more. The only flaw in this Ranchero is some surface rust in the bed. The seller say this vehicle hasn't seen water in 20 years, "not even to be washed". This is in amazing condition. I can't imagine that there is another one like it out there. The asking price, $39,500.00, is a lot, but if you've always wanted a new, orignal, 1972 Ford Ranchero GT, this may be your one and only chance. Located in Boston, MA, click here to see the eBay listing. I guess it is simply the law of supply and demand. 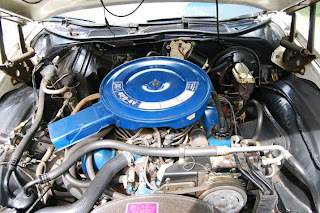 There is a neat looking "fifth generation" (1970-1971) example on the Ranchero Wiki page. Hemmings has a clean 1970 Ford Ranchero from Florida for $3500. Despite the mileage, I still think one would have to sink some money in this automotruck if it has been sitting all this time.